Dover F.C. 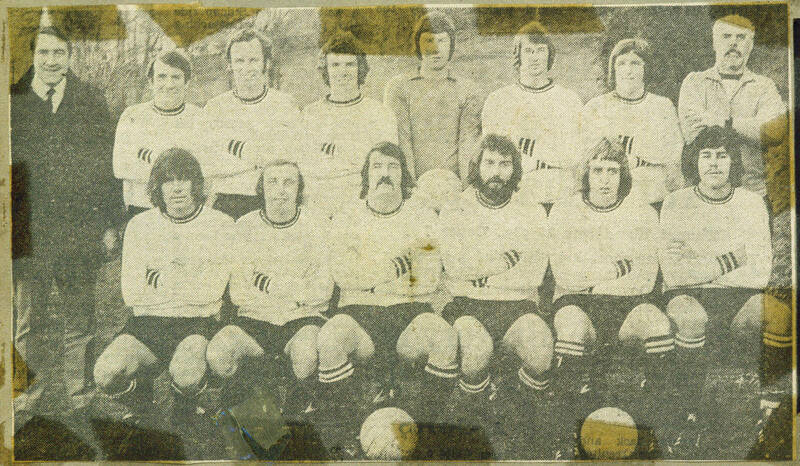 pictured before the 3-0 win over Bedford Town in the Southern League Premier Division at Crabble, on Saturday, 9th.December, 1972. At the time, we were top of the League table. Back row (left to right): Terry Adlington(Manager), John Arnott, John Carragher, Wilf Tranter, Mick Gadsby, Alan Fursdon, Keith Robinson, Jim Blaikie(Trainer). Front row (left to right): Paul Cutler, Billy Carter, Jimmy Stevenson, Neil Johnson, Ian MacHattie, Les Hall.